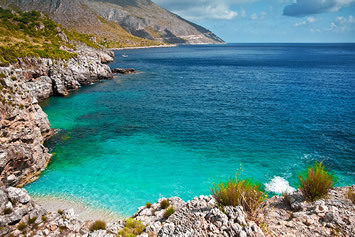 Palermo, Capo Gallo, Scopello, Zingaro, Egadi, Erice, Trapani, Marsala, San Vito Lo Capo, and more! 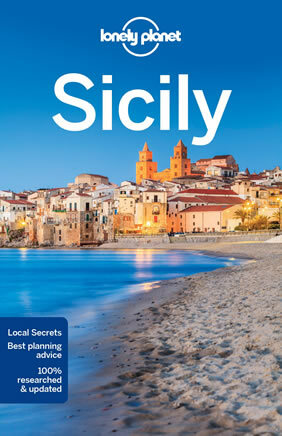 Sicily, the largest Mediterranean island, is just off the "toe" of Italy's "boot." Its rich history is reflected in sites like the Valley of the Temples, the well-preserved ruins of 7 monumental, Doric-style Greek temples, and in the Byzantine mosaics at the Cappella Palatina, a former royal chapel in capital city Palermo. 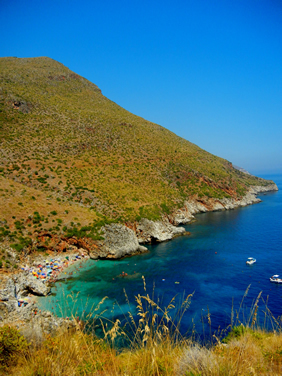 After breakfast head to Mondello area and visit the Capo Gallo Nature Reserve where you can enjoy a full relaxing day of sea and sun. 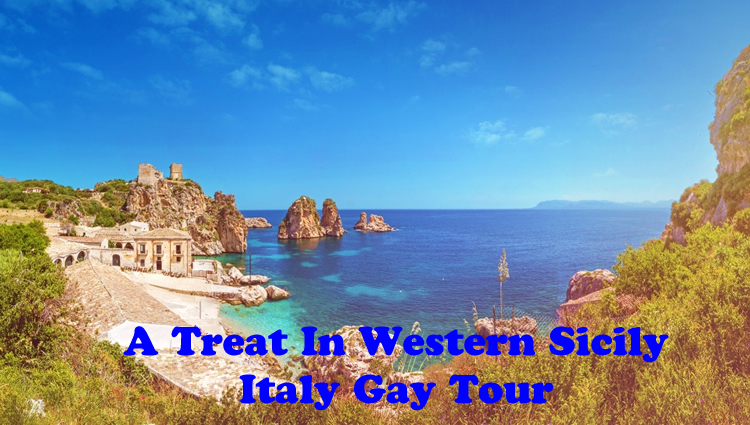 Continue to Scopello, a local seaside resort or hit the gay beaches in the area such as Roosevelt beach (nudist beach) in Capo Gallo, Balestrate beach in Mondello, The Beach of The Virgin in Sferracavallo, Salinelle or Gorgo Lungo beaches in Lascari. After breakfast meet your guide for today and depart to Trapani harbor and onboard the hydrofoil to Egadi Islands. First stop in Favignana or La Farfalla as it is often referred to thanks to its butterfly shape, where you will discover the city. Continue to Levanzo to discover the prehistoric cave-paintings like Grotta del Genovese (Guided tour & Boat Round Trip- subjected to weather conditions). After lunch continue to the fishing village of Marettimo, the most isolated of the Egadi Islands, where you can enjoy an afternoon swimming and diving into the clear water around the coast. 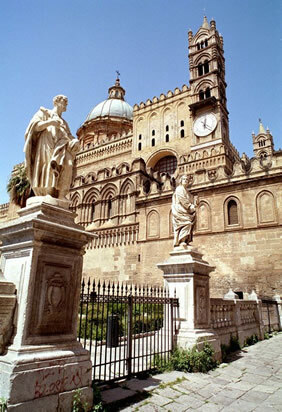 Select from 3 different category Palermo & Scopello hotel options. Offering panoramic views across the Bay of Palermo, Grand Hotel Villa Igiea - MGallery Collection is 2 km from Palermo Harbour. It features an outdoor swimming pool, tennis court and elegant rooms and suites. At the Grand Hotel Villa Igiea Palermo MGallery by Sofitel all the ingredients for a fabulous holiday are at your fingertips. 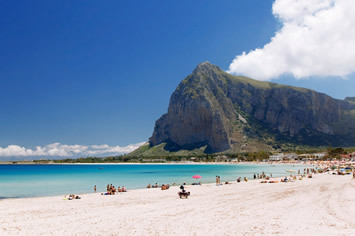 Immerse yourself in Palermo’s rich cultural heritage, absorb the beauty of Sicily’s coastline, sunbathe at beaches or at our outdoor pool, and enjoy any of the numerous sporting and entertainment possibilities on offer. Or simply relax at our beautiful villa with its luxuriant gardens and top-class service. Fine glassware, soft lighting, Art Nouveau's chandeliers and a cellar of prestige wines are the setting to the exclusive and refined Gourmet Restaurant. Open for dinner, it is the ideal location to taste excellent Tasting Menus designed by precious chef, Carmelo Trentacosti. Open in summertime between centuries-old gardens and trees. Barbeque, sumptuous buffet prepared by our chefs and the grill show cooking with the great views will make you have a nice day…. and that’s not everything. Every room has a different design and layout at Villa Igiea - MGallery Collection and no two are the same. They do however have many facilities in common, including air conditioning, satellite TV with pay-per-view movies and a writing desk. Some offer views of the Tyrrhenian Sea or Pellegrino mountain. The La Tavernetta Hotel is located in the village of Scopello just a few hundred meters from the Zingaro Nature Reserve and 300 meters from the "Faraglioni di Scopello". Opened in 1969, but renovated and modernized with style and design in recent years, continues to maintain a family-run hotel which welcomes its guests with warmth and friendliness, making it the ideal place to spend a wonderful holiday in complete relax, discovering the natural beauty and Scopello landscape and surrounding views The hotel is ideally situated for visiting places of cultural interest in the area: Segesta, Erice, Egadi Islands, Trapani, Palermo (Monreale) and Selinunte are all within an hour's drive away. The hotel also offers the possibility of excursions and boat trips and scuba diving in the beautiful natural coast line near Scopello. 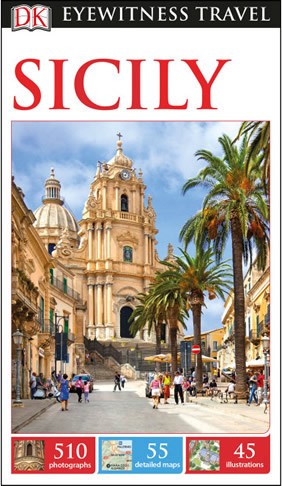 Essences, aromas and flavors of Sicily. The typical cuisine with fresh fish, couscous and fruit typical of Sicily, strictly home-made style, the tavern will enchant you with its dishes. The La Tavernetta Hotel - Restaurant La Tavernetta offers tastefully furnished rooms, suites provide a beautiful view of the sea. Each of the comfortable rooms is equipped with every comfort: private bathroom, air conditioning and more desirable for an unforgettable holiday. Recently restructured and revised in terms of architecture, the gardens of the 'hotel tavern are the pride of the structure. Swimming pool, green lawns, trees and palm trees under which to hide to read a good book or doze to the sound of cicadas, all in front of a breathtaking panorama. Walking distance from the cathedral and very close to Maqueda Street, the hotel Eurostars Central Palace offers an excellent combination of comfort and wellness to its guests. Located in the heart of Palermo, the establishment occupies the old Palazzo Tarallo building keeping the original structure and becoming a special pace with vintage frescos and furniture. Furthermore, the hotel is part of the Arab-Norman route, declared a World Heritage Site by the UNESCO. The magic ambiance that surrounds our guests in Eurostars Central Palace is complemented with a wide range of services, including a stunning panoramic restaurant to be indulged in the best traditional Italian dishes. Furthermore, the hotel facilities include a fitness area, a sauna, a covered parking, and some function rooms to organise different meetings and events, such as private dinners, cocktails and ceremonies. Each morning, the hotel offers a delightful buffet breakfast with delicious options, served in a smart classic ambiance to start the day in a great way. Our smart bar with an English style is the perfect meeting point to have a snack. At Tarallo, you can taste a real Italian ristretto with ricciarelli and the best traditional cocktails. Double rooms express a blending of simplicity and functionality, perfect to guests who are looking forward to enjoying the charm of this historical building and the comfort of a downtown hotel. This room includes two twin beds or one double bed, and is decorated with modern and functional furniture. It also has a minibar, Internet connection, air-conditioning and plasma TV. The Baglio dello Zingaro Hotel has an eviable position, near the ancient Scopello's village, dated back to the XVII century and it enjoys a beautiful panorama that embrace the main part of the cost along the gulf of Castellammare, by the Zingaro's reserve to the airport of Punta Raisi. The high speed internet connection is on in all the common areas of the hotel thanks to a wireless service. Every room is provided with mini bar daily refurbished as guests wish. The luminous, spacious and comfortable Baglio dello Zingaro Hotel rooms, reflect the colours of the surrounding environment on the walls, floors and in every detail of its furnishing and surrounding decorations made by skilled craftsmen who supervised the creation of the specially designed furniture. The rooms are provided with TV-LCD with satellite connection enabled to the vision of pay TV. Each room has got a safe with personal key so that you can put safely your personal objects. All the rooms have got automatic hot/cold air conditioning self adjustable. Every room has got an elegant private bathroom with all comforts. 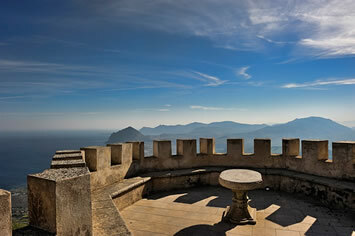 Vintage is a boutique B&B, located in the vibrant old town of Palermo, in contact with the sea. 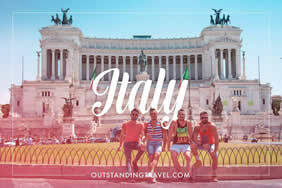 Many nations mixed here throughout history, generating the rich sicilian culture of today. An oasis of peace in the busy city and recently renovated, our place is perfect for lovers of comfort, unusual art pieces and traditional architecture. 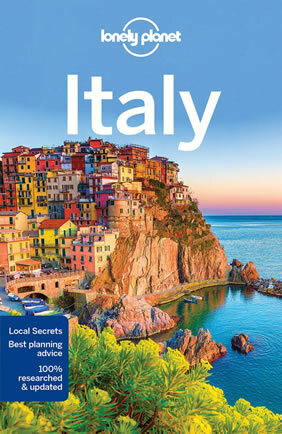 From here, you can take long walks along the winding city streets, exploring the monuments, parks and art shops. And once you return from your city explorations, recharge with a good glass of local wine. Let us spoil you. Cosy up in Boutique B&B Vintage comfortable 14-16 sqm rooms. Each one is furnished in a different and unique style, with a double bed. Discover select art pieces, some of which are for sale by local artists. All rooms have air conditioning/ heating, fridge, flat screen TV, and Wi-Fi. The bathrooms have a box shower. Wake up to the aroma of freshly ground coffee and delicious breakfast based on local products. 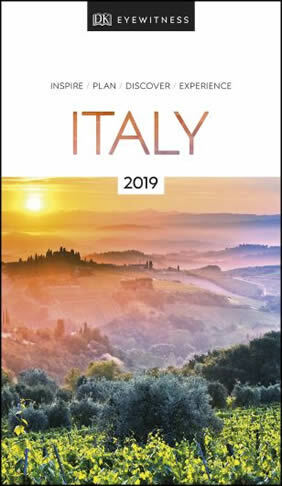 There is an option to taste a glass of Sicilian wine at your return from city exploration that we might have organized together.